Yesterday, Governor Andrew M. Cuomo announced the designation of New Americans Day at the 2015 Great New York State Fair on Friday, August 28. The day will be marked with a special naturalization ceremony, cultural performances celebrating the rich diversity of New York State, and culinary specialties from around the word. Following the ceremony, the New York State Office for New Americans will host musical performances and acts for the remainder of the day. Programming includes dance performances by the Karen Society of Buffalo, the Burundi Community of Buffalo, and the Bhutanese-Nepali Community of Buffalo, as well additional cultural acts. New Americans Day at the Fair was created in collaboration with various leading Western and Central New York groups involved with the immigrant community. It is one of several special days at the Fair, including the newly announced Pride Day, Law Enforcement Day, Armed Forces Day, two Senior Days, SUNY Day, Women’s Day and the new Six Nations Day honoring the contributions of the Iroquois Nations. 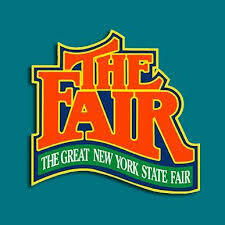 The Great New York State Fair begins with Governor’s Day, August 27 and runs to September 7, 2015. The festivities will complement the Fair’s renovated International Building, which will feature food from around the world. Staff from the Office of New Americans will also be on hand at the Fair and at their booth to direct fairgoers and connect them with their local Opportunity Centers. New Americans Day is hosted by the New York State Department of Agriculture and Markets and the New York State Office for New Americans. The New Americans Day celebration continues Governor Cuomo’s efforts to help immigrants fully participate in New York State’s civic and economic life. Previously, the Administration suspended participation in the federal Secure Communities program when concerns were raised about the implementation of the program, as well as its impact on families, immigrant communities and law enforcement in New York. The Governor also issued Executive Order 26 requiring state agencies that provide direct public services to offer free interpretation and translation services to members of the public for vital forms and instructions.